Successfully saved Croissant Breakfast Sandwich Casserole to your Calendar. You can also save the ingredients to your Grocery List. 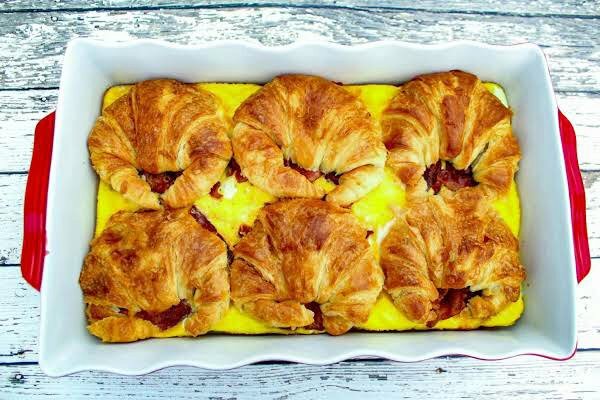 Flaky croissants, two kinds of cheese, bacon, and eggs make up this scrumptious breakfast casserole. Perfect for a Sunday brunch to begin your day of watching football with some friends, for a potluck at the office, or for a fun family gathering at the breakfast table on the weekend. For whatever occasion, this is sure to be a big hit.